Brut Oceans is an expressive representative of the niche category. 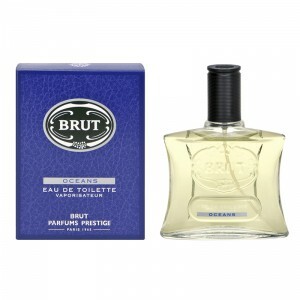 Brut Oceans 100ml. EDT created for a modern charming man. It is a luxurious cologne for modern men, made by perfumers of the French jewelry brand Faberge and debuted in 2007, as part of the collection of Brut, inspired by the legendary "dry" variety of champagne. Saturated toilet water belongs to the form of fougère water fragrances, it immerses its owners in a clean, bright cloud of freshness and vivacity, elegance and purity. The refined composition opens with a beautiful floral duo of green galbanum with exquisite osmanthus to dissolve in the boundless coolness of sea spray. Expressive inclusions of high-quality luxury tobacco in the Faberge Brut Oceans emphasize the manliness of its owner, which is difficult to resist.